I think the fairy period of Izzy’s life may have peaked. Not that she’s discarded them yet. 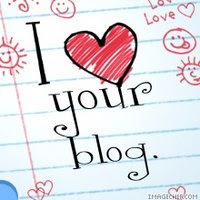 In fact, as I write this, she’s sitting on the floor building a new fairy house. It’s a shoebox decorated with glitter and nail varnish (which I’m not sure Mummy knows about, but I’m not going to be a spoilsport) and will soon be filled with pixie dust and other tiny objects in order to attract a real live fairy to come and live in it. While construction work is proceeding, we’re keeping Boots out of the room in disgrace. Last night he leapt over the dog gate and ate Tinkerbell. Izzy’s hoping the fairy that inhabits her new box will be Vidia, because she says it’s her favourite. I looked Vidia up in Wikipedia. She has pouty lips and arched eyebrows. She is also selfish, with a secret box of fairy dust under her bed which she hides from the other fairies, which explains why Izzy has suddenly acquired one too, in which she keeps a collection of birthday cards, broken dolls and old yoghurt pots. Vidia is self-centred, calls everyone “darling” and believes that not all fairies are created equal. Izzy says she likes her because she flies the fastest and has purple bits in her hair. She is the Joan Collins of fairies, and I’m not sure I want Vidia living in my house, even if she’s hidden under Izzy’s bed – she reminds me of my ex-wife. Before the fairy homebuilding began, Izzy was watching something called Sofia the First, featuring a cartoon princess with an American voice so squeaky and irritating, it gave me a headache. I’d already endured thirty minutes of the Mickey Mouse Clubhouse, which wasn’t like the Mickey Mouse I remembered as a child. In fact, this whole Disneyisation of childhood is giving me pain in all sorts of places, including my wallet. Christmas is approaching fast, and with it the flood of adverts on television for toys. That’s the joy of CBeebies, of course: no adverts. The trouble is, there’s nothing Izzy actually wants to watch either. Much as I love the BBC, its safe, middle-class children’s schedule just isn’t as entertaining as the opposition. At 10 o’clock on a freezing cold Sunday morning, Izzy has a choice of Mickey Mouse and Peppa Pig on the commercial-laden channels, or Something Special, “an educational series for four- to seven-year-olds with learning difficulties”, followed by Popshop, a programme with an annoying couple who make up terrible songs “on request”. Today, Luke would like a song to help him spread the news about how tasty vegetables are. Game, Set and Match to the mouse. But the reason I think we’re finally growing into a new era is that this morning I asked Izzy if fairies were real. “Silly Daddy,” was the response, “of course they’re not real”. “But Santa is real,” she added quickly, just in case I got the wrong idea about her Christmas aspirations. “And which toys are they making for you?” I asked, expecting a list that would empty a Disney store. But instead of a new fairy to replace Tinkerbell, she simply said “Doggie Doo,” and burst into a fit of giggles. It’s the toy on all her friends’ Christmas lists. 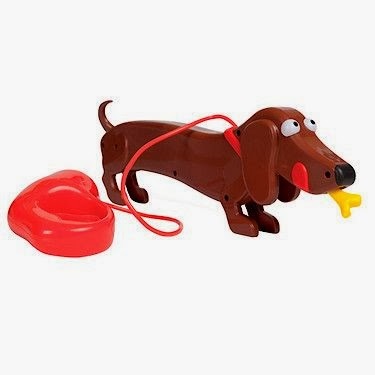 You feed a plastic dachshund plasticine food, and then each player in turn squeezes the dog’s lead until, with a loud fart, it evacuates its contents, which you pick up with a little plastic trowel. Much hilarity all round, and perfect for playing with Granny after Sunday lunch, I’d have thought. It even claims to be educational: “the game that teaches you how to be a responsible pet owner”, though I doubt CBeebies will be buying the rights. In the unfortunate event that your dachshund gets constipated, the instructions suggest you try blowing through its mouth. I hope Izzy doesn’t try this with Boots. It would take an awful lot of puff to rescue Tinkerbell.